Inspired by local bush tea traditions, this small batch, juniper-based gin is crafted with basil and lemon grass sourced directly from our island. Earthy undertones lead to fresh citrus and basil notes finished by hints of anise, fennel and vanilla. In 1878 three women became symbols of freedom and rebellion. Mary, Agnes and Mathilda were known locally as the “queens”. Even after the abolition of slavery, conditions in the Virgin Islands were tough. Frustration and unrest were brewing – sparking the uprising remembered as the Fireburn. With passion and unstoppable determination the three queens ignited the island and are remembered today as heroes. This gin commemorates the queens’ legacy. It embodies the spirit of the islands history and natural beauty. Handcrafted in small batches and made with local bushtea botanicals, 3 Queens Gin is for those who are not afraid to take the path less traveled and toast to the strong spirited! 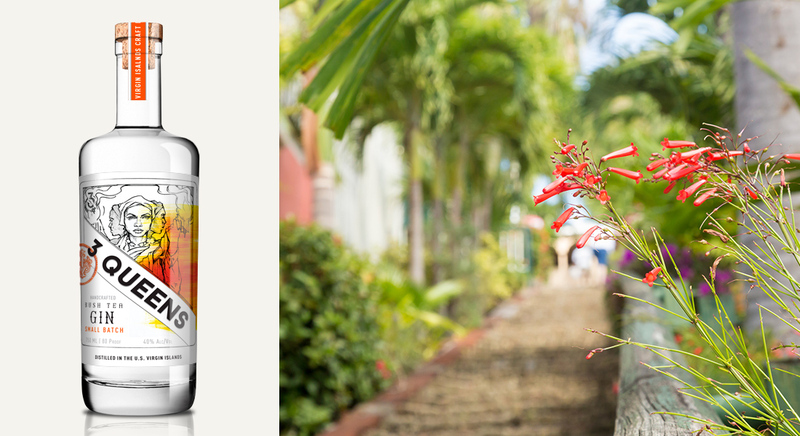 Discover how we drink it on the island. Check out these recipes and taste the adventure!